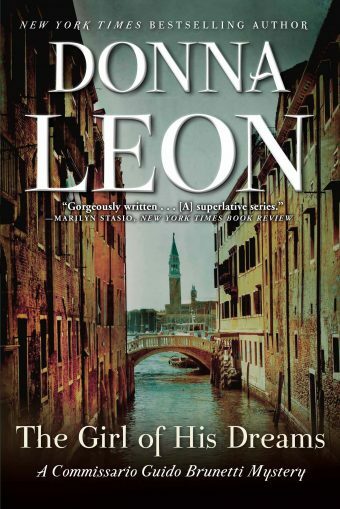 Donna Leon’s seventeenth novel starring Venetian Commissario Guido Brunetti, the “warmhearted detective [who takes] what solace he can from the beauty of his city and the homely domestic rituals that give him the strength to go on” (The New York Times Book Review). 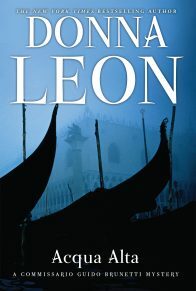 Donna Leon’s Commissario Guido Brunetti mysteries have won legions of fans for their evocative portraits of Venetian life. 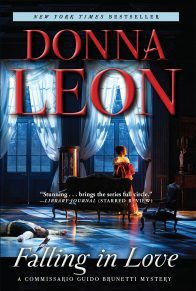 In her novels, home-cooked food, family, renaissance art, Italian history, and local politics play as central a role as an unsolved crime. Her latest, The Girl of His Dreams, opens with a major event in Brunetti’s family, and keeps the theme of family close to the fore. When a friend of Brunetti’s brother, a priest recently returned from years of missionary work in Africa, calls on the Commissario with a request, he suspects the man has motives. A new, American-style Protestant sect has begun to meet in private homes in the city, and it’s possible the priest is merely apprehensive of the competition. But the preacher could also be fleecing his growing flock, so Brunetti and his wife, Paola, along with Inspector Vianello and his wife, go undercover. But the investigation has to be put aside when, one cold and rainy morning, a body is found floating in a canal. It is a child, a gypsy girl. Brunetti suspects she fell off a nearby roof while fleeing an apartment she had robbed. 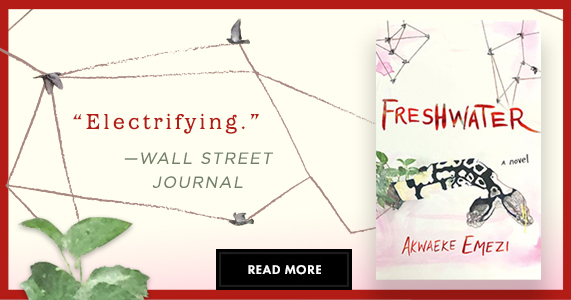 He has to inform the distrustful parents, encamped on the mainland, and soon finds himself haunted by the crime—and the girl. The Girl of His Dreams, like a number of Leon’s previous novels, explores the people and cultures at the margins of Italian life, in this case the tens of thousands of Romani people who exist both inside and outside of society. Thought-provoking, eye-opening, and profoundly moving, The Girl of His Dreams is classic Donna Leon, a spectacular, heart-wrenching addition to the series. Brunetti found that counting silently to four and then again and again allowed him to block out most other thoughts. It did not obscure his sight, but it was a day rich with the grace and favor of springtime, so as long as he kept his eyes raised above the heads of the people around him, he could study the tops of the cypress trees, even the cloud-dappled sky, and what he saw he liked. Off in the distance, if only he turned his head a little, he could see the inside of the brick wall and know that beyond it was the tower of San Marco. The counting was a sort of mental contraction, akin to the way he tightened his shoulders in cold weather in the hope that, by decreasing the area exposed to the cold, he would suffer it less. Thus, here, exposing less of his mind to what was going on around him might diminish the pain. Paola, on his right, slipped her arm through his, and together they fell into step. On his left were his brother Sergio, Sergio’s wife, and two of their children. Raffi and Chiara walked behind him and Paola. He turned and glanced back at the children and smiled: a frail thing, quickly dissipated in the morning air. 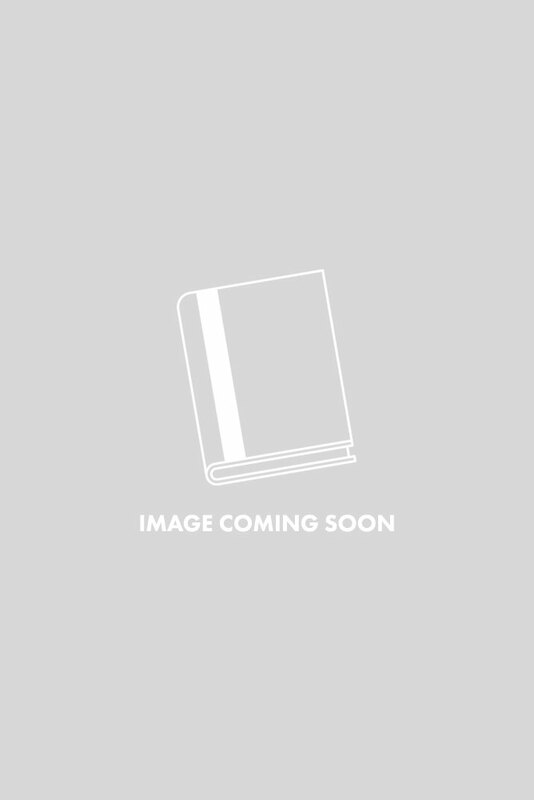 Chiara smiled back; Raffi lowered his eyes. Brunetti pressed his arm against Paola’s, looking down at the top of her head. He noticed that her hair was tucked behind her left ear and that she was wearing the gold and lapis earrings he had given her for Christmas two years before. The blue of the earring was lighter than her dark blue coat: she had worn that and not the black one. When had it stopped, he wondered, the unspoken demand that black be worn at funerals? He remembered his grandfather’s funeral, with everyone in the family, especially the women, draped in black and looking like paid mourners in a Victorian novel, though that had been well before he knew anything about the Victorian novel. His grandfather’s older brother had still been alive then, he remembered, and had walked behind the casket, in this same cemetery, under these same trees, behind a priest who must have been reciting the same prayers. Brunetti remembered that the old man had brought a clod of earth from his farm on the outskirts of Dolo—long gone now and paved over by the autostrada and the factories. He recalled the way his great-uncle had taken his handkerchief from his pocket as they stood silently around the open grave as the coffin was lowered into it. And he remembered the way the old man—he must have been ninety, if a day—had folded back the fabric and taken out a small clod of earth and dropped it on to the top of the coffin. That gesture remained one of the haunting memories of his childhood, for he never understood why the old man had brought his own soil, nor had anyone in the family ever been able to explain it to him. He wondered, standing there now, whether the whole scene could have been nothing more than the imagination of an overwrought child, struck into silence by the sight of most of the people he knew shrouded in black and by the confusion that had resulted from his mother’s attempt to explain to his six-year-old self what death was. She knew now, he supposed. Or not. Brunetti was prone to believe that the awfulness of death lay precisely in the absence of consciousness, that the dead ceased to know, ceased to understand, ceased to anything. His early life had been filled with myth: the little Lord Jesus asleep in his bed, the resurrection of the flesh, a better world for the good and faithful to go to. His father, however, had never believed: that had been one of the constants of Brunetti’s childhood. He was a silent non-believer who made no comment on his wife’s evident faith. He never went to church, absented himself when the priest came to bless the house, did not attend his children’s baptisms, first communions, or confirmations. When asked about the subject, the elder Brunetti muttered, “Sciocchezze,” or “Roba da donne”, and did not pursue the topic, leaving his two sons to follow him if they wanted in the conviction that religious observation was the foolish business of women, or the business of foolish women. But they’d got him in the end, Brunetti reflected. A priest had gone into his room in the Ospedale Civile and given the dying Brunetti the last rites, and a mass had been said over his body. Perhaps all of this had been done to console his wife. 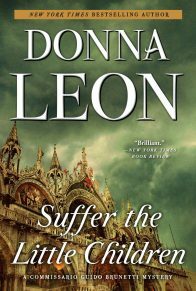 Brunetti had seen enough of death to know what a great comfort faith can be to those left behind. Perhaps this had been in the back of his mind during one of the last conversations he had with his mother, well, one of the last lucid ones. She had still been living at home, but already her sons had had to hire the daughter of a neighbor to come and spend the days with her, and then the nights. In that last year, before she had slipped away from them entirely and into the world where she had spent her last years, she had stopped praying. Her rosary, once so treasured, had gone; the crucifix had disappeared from beside her bed; and she had stopped attending Mass, though the young woman from downstairs often asked her if she would like to go. “Not today,” she always answered, as if leaving open the possibility of going tomorrow, or the next day. She had stuck with this answer until the young woman, and then the Brunetti family, stopped asking. It did not put an end to their curiosity about her state of mind, only to its outward manifestation. As time passed, her behavior became more alarming: she had days when she did not recognize either of her sons and other days when she did and talked quite happily about her neighbors and their children. Then the proportion shifted, and soon the days when she knew her sons or remembered that she had neighbors grew fewer. On one of those last days, a bitter winter day six years before, Brunetti had gone to see her in the late afternoon, for tea and for the small cakes she had baked that morning. It was by chance that she had baked the cakes; really she had been told three times that he was coming, but she had not remembered. As they sat and sipped, she described a pair of shoes she had seen in a shop window the day before and had decided she would like to buy. Brunetti, even though he knew she had not been out of her home for six months, offered to go and get them for her, if she would tell him where the shop was. The look she gave him in return was stricken, but she covered it and said that she would prefer to go back herself and try them on to be sure they fitted. She raised her eyes to look at her younger son, and he noticed how clouded the iris had become. “Heaven?” she asked. She took a small sip of tea and leaned forward to set her cup in her saucer. She pushed herself back: she always sat up very straight, right to the end. She smiled then, the smile she always used when Guido asked one of his questions, the ones that were so hard to answer. “It would be nice, wouldn’t it?” she answered and asked him to pour her more tea. He felt Paola stop beside him, and he came to a halt, pulled back from memory and suddenly attentive to where they were and what was going on. Off in the corner, in the direction of Murano, there was a tree in blossom. Pink. Cherry? Peach? He wasn’t sure, didn’t know a lot about trees, but he was glad enough of the pink, a color his mother had always liked, even though it didn’t suit her. The dress she wore inside that box was grey, a fine summer wool she had had for years and worn only infrequently, joking that she wanted to keep it to be buried in. Well. 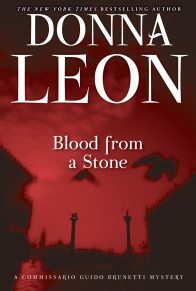 The wind suddenly flipped the ends of the priest’s purple stole up into the air; he stopped at the side of the grave and waited while the people following drew up in an unruly oval. This was not the parish priest, the one who had said the Mass, but a classmate of Sergio’s who had once been close to the family and who was now a chaplain at the Ospedale Civile. Beside him, a man at least as old as Brunetti’s mother held up a brass cup from which the priest took the dripping aspergill. Praying in a voice that only the people nearest to him could hear, he walked around the coffin, sprinkling it with holy water. The priest had to be careful where he placed his feet among the floral wreaths propped against their wooden frames on both sides of the grave, messages of love spelled out in golden letters across the ribbons that draped them. Brunetti looked past the priest, back towards the tree. Another gust of wind slipped over the wall and ruffled the pink blossoms. A cloud of petals broke loose and danced up into the air, then fell slowly to the earth, surrounding the trunk in a pink areola. A bird started to sing from somewhere inside the remaining blossoms. Brunetti pulled his arm free from Paola’s and wiped his eyes with the inside of the sleeve of his jacket. When he opened them, another blossom cloud was flying up from the tree; his tears doubled it in size until nothing but a pink haze filled the horizon. Paola grabbed his hand and squeezed it, leaving behind a light blue handkerchief. Brunetti blew his nose and wiped at his eyes, crushed the handkerchief in his right hand and stuffed it into the pocket of his jacket. Chiara moved up on his other side and took his hand. She held on while the words were said, prayers spoken up to the wind, and the workmen stepped forward on either side of the grave to lift the cords and lower the box into the ground. Brunetti had a moment of complete dislocation and found himself looking for the old man from Dolo, but it was the workers, and not the old man, who tossed earth down on to the coffin. It rang hollow at first, but when it had been covered by a thin layer, the sound changed. The spring had been wet, and the heavy clumps fell with a dull thud. And again, and then again. And then someone on the other side, it might have been Sergio’s son, dropped a bouquet of daffodils on to the earth at the bottom of the hole and turned away. The workmen paused, resting on their shovels, and the people standing around the grave took this opportunity to turn away and head back across the newly green grass, towards the exit and the vaporetto stop. Conversation went on by fits and starts as everyone tried to find the right thing to say and, failing that, at least something. The 42 came and they all boarded. Brunetti and Paola chose to stay outside. It seemed suddenly cold in the shadow of the boat’s roof. What had been a breeze within the cemetery walls blew here as wind, and Brunetti closed his eyes and lowered his head to escape it. Paola leaned against him, and, eyes still closed, he put his arm around her shoulder. The engine changed tone, and he felt the sudden slowing of the boat as they approached Fondamenta Nuove. The vaporetto began the broad curve that would bring it to the dock, and the sun played across Brunetti’s back, warming him. He raised his head and opened his eyes and saw the wall of buildings and behind them bell towers popping up here and there. He nodded. Back to his brother’s to thank the closest friends who had come, and then the family would go for a meal. After that, the two of them—or the four of them if the kids wanted to come—could go for a walk: perhaps over to the Zattere or down to the Giardini to walk in the sun. He wanted it to be a long walk, so he could see the places that made him think of his mother, buy something in one of the shops she liked, perhaps go into the Frari and light a candle in front of the Assunzione, a painting she had always loved. The boat grew closer. “There’s nothing . . .” he started to say but then stopped, not certain what it was he wanted to say. “There’s nothing to remember about her except the good,” Paola finished for him. Yes, that was exactly it. 1. The novel opens at a funeral, setting a melancholy tone that only deepens when the reader realizes it’s Brunetti’s mother who is being laid to rest—and that our protagonist is now an orphan. Consider the rituals Brunetti remembers or participates in at his mother’s funeral: the dropping of a clod of earth onto the casket; the blessing from a priest; the gathering of mourners at his brother’s home afterward. What is each of these customs intended to do? How do they reinforce the relationship of the deceased to the survivors, and of the survivors to one another? How does the funeral that opens the book compare with the one that ends it? 2. What are Brunetti’s feelings towards Padre Antonin when the priest arrives to see him at the Questura, and why? How are these feelings specific to this priest, and how are they general to his profession? What is the priest’s reason for seeking Brunetti’s help? 3. “I’ve chosen to believe in God . . . in the face of convincing evidence to the contrary and in the complete absence of proof,” Brunetti’s mother-in-law tells him (p. 43). How does the Contessa explain her faith as a choice, and how does she differentiate between her faith and organized religion? Is anti-clericism compatible with faith, or does it necessarily compromise it? 4. Padre Scallon, the elderly priest Brunetti visits to inquire about Padre Antonin, quickly recognizes Brunetti is interviewing him. What are the priest’s suspicions about Brunetti? What does he reveal, and advise, about Padre Antonin? 5. Consider the subject of the sermon Brunetti attends with Vianello and their wives, as well as the setting. How does the the experience compare with Brunetti’s recent visits to Venetian churches? Why does Paola consider the sermon and its effect “American,” and why might those very qualities be appealing to Brother Leonardo’s followers? 6. “People don’t lose children,” Paola tells Brunetti the night after he pulls a young girl’s body out of a canal. What assumptions do Vianello and Brunetti make about the victim immediately after finding the body? Which of her characteristics seem important, and which are overlooked? 7. “Long experience had rendered Brunetti suspicious of protestations of disinterested goodwill, especially when those protestations were linked in any way to money” (p. 116). Consider a few of the experiences that might shape Brunetti’s view, such as Vice-Questore Patta’s newfound appreciation for “multicultural sensitivity.” Are they justified? 8. Brunetti relies on Signorina Elettra’s ingenuity to probe institutional records. How does she go about gaining access to records about the clergy, and how does she explain her interest in the subject matter? Consider Signorina Elettra’s attitude toward religion and where she falls on the spectrum that includes the Brunettis and the Contessa. 9. The bureaucratic insistence on calling the Gypsies by a different name, Rom, seems to annoy Brunetti and Vianello. What’s behind their frustration? Do names, and renaming, matter? How are they used? Consider who tends to do the naming, and what the impact and limitations of renaming might be. 10. Brunetti is shocked when he hears the results of the drowned girl’s autopsy. Which stereotypes about Gypsy/Rom children does the autopsy confirm? What else does Rizzardi discover? Which of all the distressing facts of this case—”the death, or the disease, or the fact that she probably died while robbing an apartment, or that no one had come to claim her,” as Brunetti later enumerates to himself–continue to haunt him? 12. Signorina Elettra discovers that while Padre Antonin’s mission in Africa implicated him in a scam, he was only an unwitting front man. 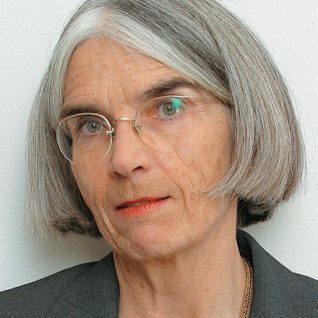 How does Signorina Elettra explain the fact that Padre Antonin went along with his removal, and how does Brunetti begin to see the priest’s suspicions about Mutti? 13. What are the unique challenges Brunetti faces as he tries to discover the victim’s identity in this case? The Carabiniere who ultimately tracks down the girl’s records tells Brunetti he has “no illusions” about the camps to which she and her family belong. What does he mean by that? Consider the problems an itinerant population poses for its host society, when there are few mutual obligations, common grounds, or incentives for investment. What are the costs for the nomads? 14. What is the one thing Steiner tells Brunetti they can safely assume about the circumstances of the crime? How does he arrive at this conclusion? How does Brunetti use this information later? 15. What is Dottoressa Pitteri’s job? What could be the source of the antipathy between her and Steiner? What kind of a relationship does she seem to have with the Rom community, and how does she help the policemen? 16. Brunetti is mostly an observer during his visit to the Gypsy/Rom camp. What is he able to glean about how the camp is organized and about the nature of the relationships between its members? Why does he assume that no one except the mother is concerned with Ariana’s death, and what explanation does Signorina Elettra offer? 17. Vice-Questore Patta seems eager to treat the death as an accident. Why? How does he justify telling Brunetti to end the investigation? 18. How does Brunetti get the camp leaders’ attention on his second visit? What resources does he draw on to do so? When he finally gets to speak to Rocich, what information is he able to pull out from him, and how? 19. “Even this heartless state had not been able to imagine people who would not claim their dead,” thinks Brunetti when he realizes that there are no provisions for a body that has been identified but not retrieved by relatives (p. 224). Why is Brunetti particularly bothered by the thought that Ariana’s parents have not claimed or seen her body? Consider the reasons for which a body is claimed after death, and the significance of burial. How many of these customs come from agrarian societies with links to the land, and how might they be different for a nomadic people? 20. What does Dottore Calfi tell Brunetti about his treatment of the Rocich family, and where do his sympathies and antipathies lie? Why does Brunetti seem to doubt the Dottore’s explanation for how Ariana contracted gonorrhea? 21. 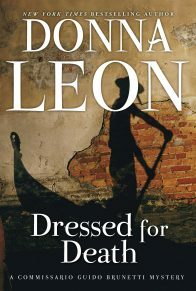 Brunetti uses the entire extent of his network—former classmates, his mother-in-law, Signorina Elettra’s confessor—to gather information while investigating a case. Why is he also tempted to ask his children for help? What concerns does he have? And what finally prevents him from acting on this impulse? 22. Who sends the little boy to follow Brunetti, and why? How does Brunetti confirm that he’s speaking with the right person? What does he learn from the boy, and why is he stumped? Who does he expect to pay a visit to the Fornaris? 24. As Vianello follows Brunetti back to the camp, he tries to convince the Commissario that it’s pointless to continue in the face of the political clout and flimsy evidence that make this case untenable, not only in Patta’s eyes but the courts’. What does Brunetti have, then, and why does he continue? Does the case matter if it can’t be pursued publicly? 25. “It’s not one of your novels, where everything gets explained in the last chapter,” Brunetti tells Paola about his investigation (p. 275). What does he know, in the end, and what is he left to imagine or guess?